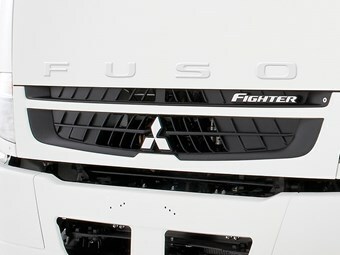 Euro V Fighter recalled by Daimler. Air compressor issues have forced Daimler to recall 3,269 Mitsubishi Fuso Euro V Fighter trucks and MB Buses. "On affected vehicles there is insufficient strength in the material which makes-up the air compressor cylinder head gasket," the Australian Competition and Consumer Commission (ACCC) recall notice says. "Vibration caused by the air compressor piston’s back-and-forth motion may cause cracks in the compressor’s cylinder head gasket." The ACCC adds that "there is the possibility this could cause engine coolant or engine oil leakage into the main air pressure line." "In an extreme case, this might lead to air pressure loss. "This could result in insufficient brake performance or failure of other systems, posing a potential accident hazard." Daimler says owners of affected vehicles will be notified by letter.